If you love Stromberg-equipped vintage hot rod engines as much as we do, then what better combination than this 3×2 97-powered Chrysler Hemi FirePower? Filmed over 10 months by Davin and Matt at the Hegarty Insurance workshop, this time lapse video of the whole rebuild is exhausting to watch let alone film or do! But what a project. Congrats to the guys for seeing it through. Click here and Enjoy the ride! 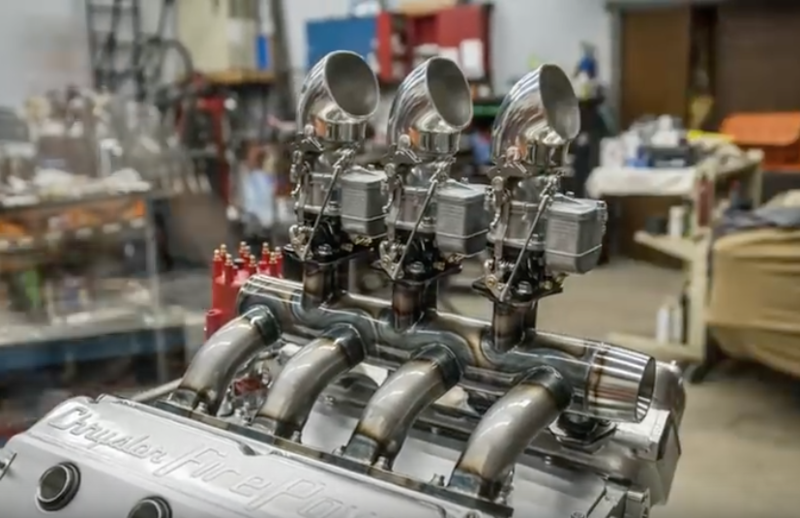 Watching a BIG97 equipped Cadillac 331inch race engine (out of an Allard) on the dyno is not something you want to miss. So off we went to Connaught Competition Engines in Kent, UK, to watch and help with jetting and tuning. 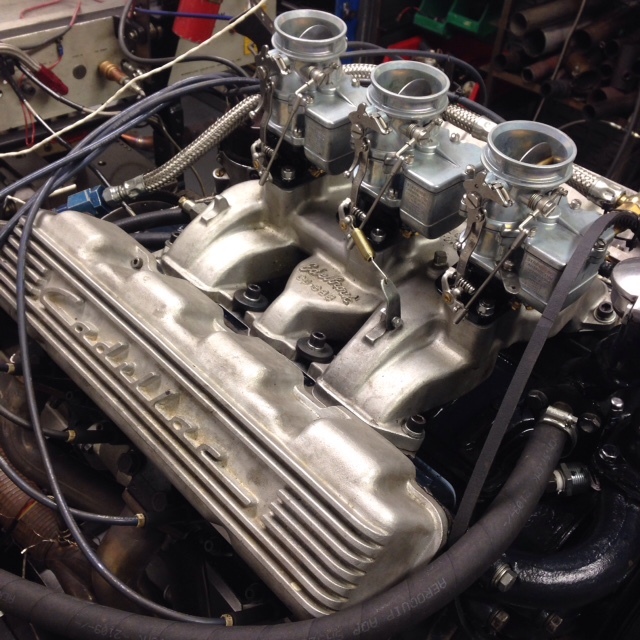 The way the driver wanted to go was with three BIG97 Primary carbs for this engine, on a direct linkage. The old Edelbrock intake was opened up to take the bigger throttle bores. And the final results? Not bad for an old Cad motor!! 405lb ft torque at 3500rpm and over 350hp at around 5500rpm where these old intakes max out. Best of all, the BIG97 added some 40hp over the regular 97s, even with that old style early intake manifold. We didn’t even have to change the Primary stock jetting (0.56inch main jets). And there were no issues with residual fuel pressure on shutdown, either. Big thanks to Phil at Connaught Competition Engines for driving the dyno, and Gus Gingell who built the engine. “Thanks to Mike Herman we were able to gather photos of the most popular intake options H&H currently offers for early (1932 to 1948) and late (1949 to 1953) Flatheads. While the manifolds look similar there are significant differences. The positions of the carburetors on two-two manifolds vary and as a result some require moving the generator, others don’t (manifolds that accommodate the generator are often called regular dual, while those with the carbs further apart are usually referred as super dual). By spreading the carburetors further apart they have a straighter shot into the ports and fuel distribution is improved but relocating the generator requires a head-mounted bracket. Some manifolds are equipped with exhaust heat, others aren’t. In cool locales with today’s fuel exhaust heat can help driveability, in hot climates it’s not normally necessary. All the manifolds shown here accept the stock-style fuel pump stand and the oil filler/road draft tube for 1949 to 1953 applications. Another difference is the number of bolts used to secure the manifold. Due to the shape of the runners, in some cases, the number of bolts has been reduced. On the other hand, in some cases, there are more holes in the manifold in the block, but in either case it’s not a problem. Although all the manifolds shown are good, some manifolds may perform better than others with a given engine combination. The best bet to resolve that issue is to deal with an expert on the subject like Mike Herman. BIG97 Video. The 750cfm Stromberg Tri-Power! Check out this new Stromberg BIG97 video, awesomely directed for us by Piero De Luca. We love it and you will too. 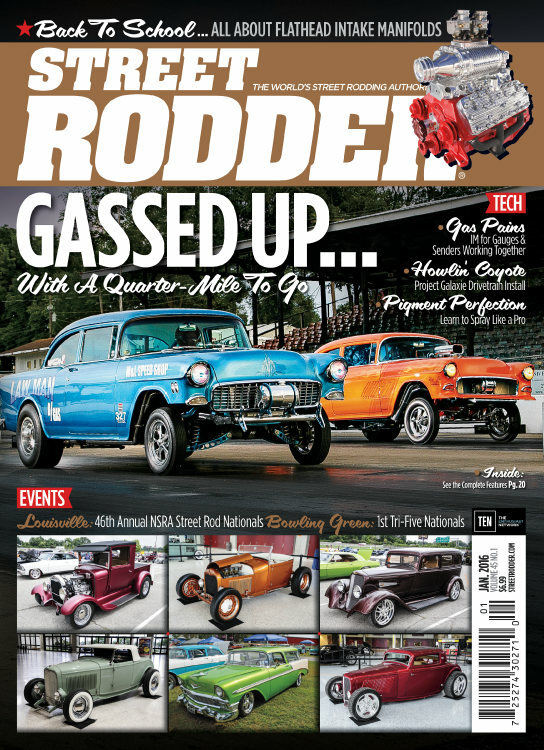 And thanks to Walden Speed Shop for the location! For full BIG97 details and pricing, please click here for the Stromberg BIG97 page.